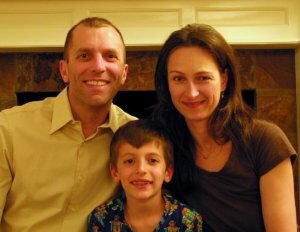 Micheal, Kathleen and Heiko Ang-Lee M.D. Michael Ang-Lee has been in the Everett community for the past 7 years. He graduated from the University of Michigan Medical School and completed his residency at the University of Chicago. He and his wife, Kathleen, have a 2 year old son, Heiko. He is most proud of the fact that personally cared for nearly 2 dozen PRMCE doctors, nurses and their family members. Dan was raised in Phoenix, Arizona. After graduating high school, he spent a summer traveling through Europe, where he met his future wife, Elke Reibhorn. Dan studied Biology at the University of California, Berkeley, and later medicine at the Medical College of Wisconsin in Milwaukee. After medical school Dan married his one-time Austrian tour guide, and she became Elke Reibhorn-Bailes. Dan and Elke moved together to Seattle, Washington, where Dan completed his Anesthesia residency at Virginia Mason Medical Center. After residency (and a short stretch in Denver, Colorado), Dan joined the Anesthesia community in Everett, Washington – first with The Everett Clinic and later with Pacific Anesthesia. 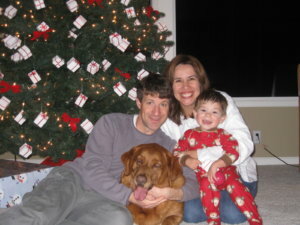 While practicing at Providence Regional Medical Center Everett, Dan was able to develop several professional interests. First, Dan joined the Cardiac Anesthesia Subgroup and honed his skills at taking care of some of the region’s most critically ill patients. He spent many hours training in Trans-esophageal Echocardiography in order to further improve the care of PRMCE’s cardiac patients. Second, Dan was able to apply his training in regional anesthesia and peripheral nerve blocks to his practice of orthopedic, general, and thoracic anesthesia. In addition to continuing to use nerve blocks he learned in training, Dan has also leaned several new types of blocks and feels his patients benefit greatly from their use. 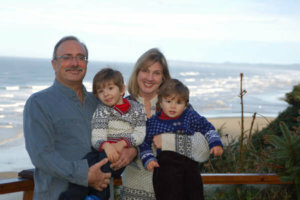 Dan has also been able to develop personal interests while living in the Puget Sound Region. 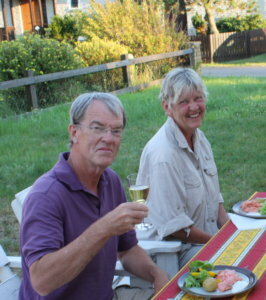 Dan and his wife Elke have spent many days hiking and skiing in the Cascade Mountains. He has enjoyed many ski days and ski trips with the numerous friends he has made at PRMCE. Over the past several years Dan has also taken up several new hobbies, including motorcycling and tennis. With the addition of a child (Ethan) to their family in 2000, Dan and Elke have enjoyed teaching their son about the wonder of the mountains. Ethan, who is now in the third grade, has become an avid soccer player and a lover of the piano. Dan will greatly miss all his friends and colleagues at PRMCE. He is sorry that his time there has been cut abruptly short, but is very thankful for all the wonderful friendships he has made and for the privilege of caring for Everett’s patients. I grew up in Portland Oregon, went to Oregon State University, and medical school at the Oregon Health Sciences University. I went to USCD for my anesthesia residency and ended staying in San Diego for 14 years. I returned to the northwest the summer of 2002 to work at Providence Everett Medical Center. I have enjoyed working with the surgeons and nurses at Providence, and will miss all of the wonderful people I have known and worked with for the last 7 years. I grew up on the family farm in Iowa, but not being much of a farmer at heart, I went off to college where I found my way into psychology, of all things. I enjoyed almost all aspects of the field but really found my niche in it when I discovered psychobiology, which is the study of how the function of the brain is translated into the behavior that we see. I received a PhD in this field in 1980 from Iowa State University, where my research involved sites and neurotransmitters in the rat brain involved in the control of food intake and body weight. I then moved on to laboratories at UCLA, where I did further research in this and closely related areas. In 1985 I had the opportunity to open my own laboratory at the Sepulveda Veterans Affairs Medical Center, part of the UCLA system of hospitals, and I ran an NIH and VA-funded research program there concentrating primarily on brain structures and neurotransmitter systems involved in the control of the major metabolic fuels, glucose and fatty acids, and related hormones such as insulin and corticosterone. From the beginning of my research career, most of my experiments involved rat neurosurgery — either a specific site in the rat brain was inactivated, or a connection in the brain was severed, or a neurotransmitter was injected into a specific brain site, and then effects on the variables of interest were measured. For all these experiments, not only was I a rat neurosurgeon — I was also the rat anesthesiologist. Rats need anesthesia for surgery just as much as humans do. While there were several things about my years of doing science that were very rewarding, there were also things about it I enjoyed less. After some prodding by my same-age MD research colleagues I entered medical school at the University of California, Davis, at the age of 41. When it came time to choose a specialty it was a difficult choice between psychiatry and anesthesiology, but eventually anesthesiology won, and after graduation I came to the University of Washington for an internship in internal medicine, followed by residency in anesthesiology, which I completed in 2003. Not long after that I joined the anesthesiology service of Western Washington Medical Group in Everett, which eventually melded with anesthesiologists from The Everett Clinic to form the Everett division of Pacific Anesthesia. I have very much enjoyed my years in Everett; I could not have asked for a finer group of anesthesia colleagues, and I really appreciated their dedication to top-quality intraoperative patient care. Not surprisingly, my favorite cases have always been the neurosurgery cases; your brain is what you are, and providing the operative setting in which a neurosurgeon can fix an injured brain is both a challenge and a pleasure. The surgical results can be quite dramatic, and it’s always gratifying to have made a small contribution to that outcome. It was with both surprise and much sadness that the realization came that our opportunity to continue providing this service to our community was going to be taken from us. The wide-spread support of our knowledgeable colleagues in the local medical community was very gratifying, and we wish them, and their future patients, the very best. I cherished every day of my ten years at Providence Everett Medical Center and was looking forward to the next fifteen years in the new hospital tower. I will deeply miss my colleagues in the operating rooms and the labor and delivery unit – the surgeons, the nurses, and the ancillary staff. We were a family. We had a beautiful teamwork vibe going. Anesthesia was a surprise career choice for me, as I’d begun a career in public health after getting a Master’s Degree at Johns Hopkins. I’d built a nutrition program and a children’s hospital in Niger, West Africa, and had done health education for the city of Santa Cruz and the state of Michigan. But one day, while a medical student, I needed a surgical procedure. The surgeon was a fine doctor but basically invisible to me. The anesthesiologist, on the other hand, was there for me, beginning to end. Wow, what a powerful role to play in someone’s life! I changed my career plans and have found this work to be very satisfying, and often magical. I came to Providence after medical education and specialty training at Stanford and Virginia Mason. I have been very happy in the Seattle area and never wanted to leave. My three boys have thrived here, have excellent teachers, and are very involved in their community. One son plays flute in the Everett Youth Symphony. My father, who is 80 and has Alzheimer’s, lives with us and is very comfortable here. I was able to sing with the Seattle Women’s Chorus for six years, even singing on stage with them at Carnegie Hall. As I write this, I don’t know what the future holds, and I feel a great sadness about the loss of my Providence family. You are all very loved and respected by me and my colleagues in Pacific Anesthesia and I hope your days ahead bring you many blessings. 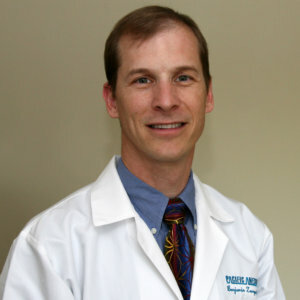 After attending medical school at West Virginia University and residency at The University of Pittsburgh Medical Center, Greg joined Atlantic Anesthesia in Norfolk, Va. This was a large, busy practice based at Norfolk General Hospital, a Level 1 Trauma Center. He practiced there for nine years, during which time he met his wife, Dr. Karen Barr. She was an attending physician in the Department of Rehabilitation Medicine at Eastern Virginia Medical School. 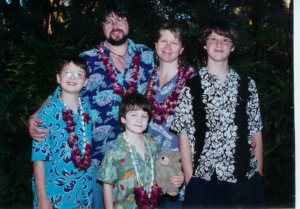 After their wedding in 2001, they moved to the great pacific northwest where Karen accepted a position at the University of Washington. 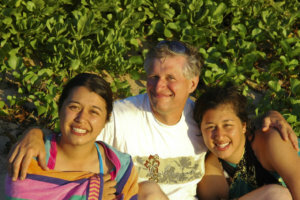 Greg joined the Everett Clinic anesthesia section which ultimately evolved into Pacific Anesthesia. They have two young sons and enjoy Seattle and the northwest immensely. Greg has greatly valued and appreciated his time practicing anesthesiology in Everett. He will truly miss his surgeon and hospital staff colleagues. Biographical sketch — James Benthuysen M.D. As a youth growing up in the painfully flat Midwest, I was blessed with grandparents who took me on a summer journey to the west coast, passing through the northwest. After finishing medical school at the University of Chicago in 1980 I finally moved west for my anesthesia residency training at UC San Diego. Subsequently I taught at UC Davis for five years. While attending a CME meeting in Seattle, I ran into colleagues from residency days some of which were working at The Everett Clinic. They said we need someone- come on up. I jumped on the opportunity to fulfill a youthful dream of exploring the northwest landscape. So in 1989, I moved my family to Everett and began working at TEC with John Kemp. It was a great group and we began to expand along with the clinic as it developed its surgery centers. I saw John somewhat overwhelmed administratively and so offered to take on a portion of this burden – eventually finding myself as the co-director of the department by the mid 90s. In the meantime, my daughters adjusted and flourished in this new home. They attended Immaculate Conception School in Everett and later both graduated from Kamiak H.S. in Mukilteo. In their summers we would explore the mountains on longer and increasingly ambitious day hikes each season. Eventually we were on multi day backpacks. Both girls learned music through the encouragement of their mom. Jacqueline pushed it as usual became quite a musician picking violin and viola as well learning piano. The girls both wanted to ice skate so I took lessons with them at the Highland arena in Shoreline. Through these activities I came to know this community and call it home. As I explored the mountains I saw things most people where I grew up couldn’t imagine. So I began to take photographs with the desire to share my hikes and travels. While my early photography efforts were lackluster, they provided a great documentary of my girls growing up. I continually learned more and the photographic aspect of my journeys became equal to the wanderlust itself. The tumultuous times beginning around 911 have been transitional and focusing for me personally and professionally. My girls grew up and both attended the UW honors program. Jessica went on to graduate school at MIT where she is in the final year of her PhD program (2009). Jacqueline is about to begin her senior year of her biochemistry major at UW and plans to peruse a PhD as well. Following the group’s expulsion from Everett clinic, I joined with Pacific Anesthesia where I served on the Board of Directors and continue to serve on the corporate finance committee. I will stay with PA in a half time position at Stevens hospital in Edmonds WA. I plan to continue my explorations near and far and enjoy some better days. my anesthesia training. The US did not recognize my Swedish training so I order to be able to practice in the USA, something I had decided I wanted to do, I had to become a resident again. After completion of my US training I was not allowed to stay since I had a student visa (J1). We returned to Sweden again, this time we were 4, our son born in Karlstad Sweden and our daughter born in Pittsburgh PA.
Two and a half years later (in 1985) we returned to the US, this time as immigrants. I had been offered a position as Asst. Professor at The Ohio State University. After a year in Columbus we moved to Everett where I have been practicing ever since. We have loved it here. Our children went first to View Ridge Elementary School. It was tough for them since they did not know the language, but they managed. We did the usual family things: soccer, basketball and softball. We went hiking and eventually bought a small boat that took us to the San Juan and Gulf Islands, Victoria BC and around in the Puget Sound. Both children graduated from Everett High School, our son continued to UW, our daughter to Everett Community College. After 23 years as a practicing anesthesiologist in this community my career has come to an end. Many things have happened during these years. Providence and General Hospital merged in 1994 and 10 years later the two competing anesthesia groups also became one. It has been a time of change, many challenges but also great rewards. 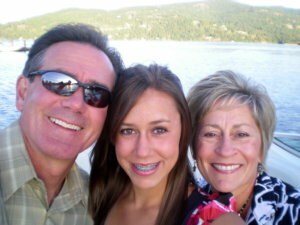 I am originally from Spokane and spent my college days at the University of Washington. After medical school in Wisconsin where I met my wife, Kim, and residency in Massachusetts, the lure of the mountains and the water brought me back to the Pacific Northwest in 1989. I was in the “original” anesthesia group, Medical Anesthesia Associates, but my career here has included time in Western Washington Medical Group the Everett Clinic and finally the Everett Division of Pacific Anesthesia. After many frustrating years of being unable to keep quality people locally in the competitive Seattle market, Pacific Anesthesia finally put Everett with the big boys where we could recruit and retain fine physicians. It saddens me that I will not consummate my career here but life will go on as I take a new position with the Overlake Division of Matrix Anesthesia. While my professional life is changing, I will continue to make my home in Snohomish and so will become an Eastside commuter. My daughter Abby is a freshman at Archbishop Murphy High School and is really enjoying herself so we are happy we will not be displaced by the changes going on at PRMCE. My specialty training and interest has always been cardiac anesthesia and I have been privileged to be a part of an outstanding cardiac center with excellent physicians, nurses, perfusionists and support staff too numerous to mention. I am most proud of the cardiac anesthesia staff we assembled here. We all are either fellowship trained or have had extensive experience here or elsewhere. We are all specially trained to perform transesophageal echocardiography, giving our patients the opportunity for the best possible outcomes. I have learned much from my colleagues and I hope I have provided them with some wisdom and insight as well. Thank you to the PRMCE staff who made it so enjoyable to come to work every day. The experiences we have shared—happy, sad, frightening, funny, the list goes on and on—is what I will miss the most. You are dedicated professionals and I am honored to have worked beside you. 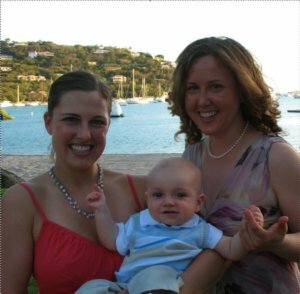 Dr. Susan Wetstone, MD with sister Sara and nephew Tallyn. It has been a joy to work with the wonderful nurses, techs, surgeons, and anesthesiologists in Everett and I am tremendously sad that Pacific Anesthesia will no longer have an opportunity to serve at PRMCE. Though I have only been practicing in Everett for a year, I have had a life long connection with the hospital. I was born at Everett General Hospital (now PRMCE) in 1973 to Scott and Dana Wetstone, both MD anesthesiologists who practiced there. My father belonged to the same Everett anesthesia group from 1972 to 1996 that later evolved into Pacific Anesthesia (PA). Even my mother practiced with the Everett anesthesia group for a year. Growing up, I knew Dr. Wear (president of the Everett division of PA), Dr. Subitch (recently retired after working with the anesthesia group since the late ‘60s), and Dr. Galuska (a practicing anesthesiologist with the group since the mid ‘70s) but never dreamed I would be working with them=2 0later! After attending the UW for Medical School and UCSF for Anesthesia Residency where I was a chief resident, I joined PA in the beginning of 2008. I was astonished to discover how many nurses, anesthesiologists, and surgeons remembered my father. Some even remembered my mother from working with her in 1972! Dr. Wright, one of our delightful neurosurgeons, not only worked with my father for years, but also went to Medical School with him at the UW. (Dr. Wright was a bit of a prankster then, according to legend.) Additionally, I recently performed an anesthetic for a patient who remembered that it was my father who gave her a labor epidural 15 years ago! I have the utmost respect and fondness for the nurses, techs, surgeons, and anesthesiologists with whom I have worked. I will miss them ver y much and wish them all nothing but the best. I was raised in the Pacific Northwest, growing up on Mercer Island, and later attending the University of Puget Sound in Tacoma where I obtained bachelor’s degrees in accounting and finance. I spent a short time in the business world before venturing forth to upstate New York to attend medical school at the University of Rochester. After a year of internal medicine training at Highland Hospital, also in Rochester, NY, I left the snow behind and returned home to the Seattle area for a residency in anesthesiology. It was there that I met my wife, then a University of Washington medical student who later went on to become an anesthesiologist as well. Immediately after finishing my residency in 2000, I began my career by joining the Everett Clinic Anesthesiologists and working at Providence Everett. I became very involved within the hospital at Providence Everett with a focus on improving patient care and patient safety in a cost effective manner. I served on innumerable committees, was the anesthesia department chairman for two terms, and helped open the Providence Pavilion for Women & Children with safe and comfortable anesthesia. In 2004 the Western Washington Anesthesiologists and the Everett Clinic Anesthesiologists merged to form Pacific Anesthesia in order for us to provide an even higher level of care to our patients. After dedicating the first decade of my career as an anesthesiologist caring to patients at Providence Everett, I am proud of the progress our group has made to ensure our patients and surgical partners receive the highest standard of anesthetic care. I am saddened that we will be leaving so many friends and colleagues in the perioperative and obstetric arena. I have very much enjoyed working with such wonderful people and I wish them all well in the future. And now, it is time to move on. I grew up in Southern California, graduating high school in Santa Barbara in 1988. I attended the University of California Santa Barbara, and then the University of Washington in Seattle where I obtained a B.S. in Pharmacy and then a doctorate in pharmacy. After a working as a clinical pharmacist at Harborview Medical Center, I returned to University of Washington to earn my M.D. degree. There I met my husband, who was a senior resident at Harborview at the time. I stayed on at UW to complete an internship in Internal Medicine and a residency in anesthesiology while he took a job with Everett Clinic Anesthesiology. Benjamin and I now have two children, ages 2 and 4. Ultimately, I became an attending anesthesiologist at Harborview Medical Center, and also worked in private practice at Northwest Hospital in Seattle. In 2008 I left Northwest Hospital and joined Pacific Anesthesia in Everett. Although I am relatively new to the anesthesiology department in Everett, I have very much enjoyed working with the surgeons, nurses, and staff that I have heard so much about from Benjamin over the years. In coming to Everett to work, I joined a number of long time friends and colleagues from my residency years that I like and respect. It has been an honor to work with such an excellent group of anesthesiologists. I will certainly miss you all as we leave Everett. Everyone, it has been a short, but enjoyable run. Thank you and best wishes for the future. Aditya is another East-Coast import who came to the Everett area due a great hospital environment and beautiful local surroundings. His ties to the Northwest began during his residence at UW. 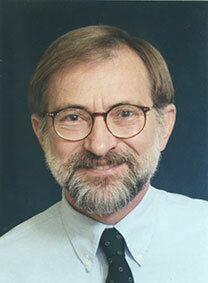 After a few years completing a fellowship and an attending position at the University of Pennsylvania he returned to the Northwest to work in Everett in 2005. His time in Everett has been remarkable for the great friendships and colleagues that have made this hospital an enjoyable place to work. He hopes these friendships will last into the future and will find their different paths crossing again.